Helping aging parents is indiscriminant in the toll it takes – the reversal of roles is tough, not to mention the physical and emotional burden it places on adult children. 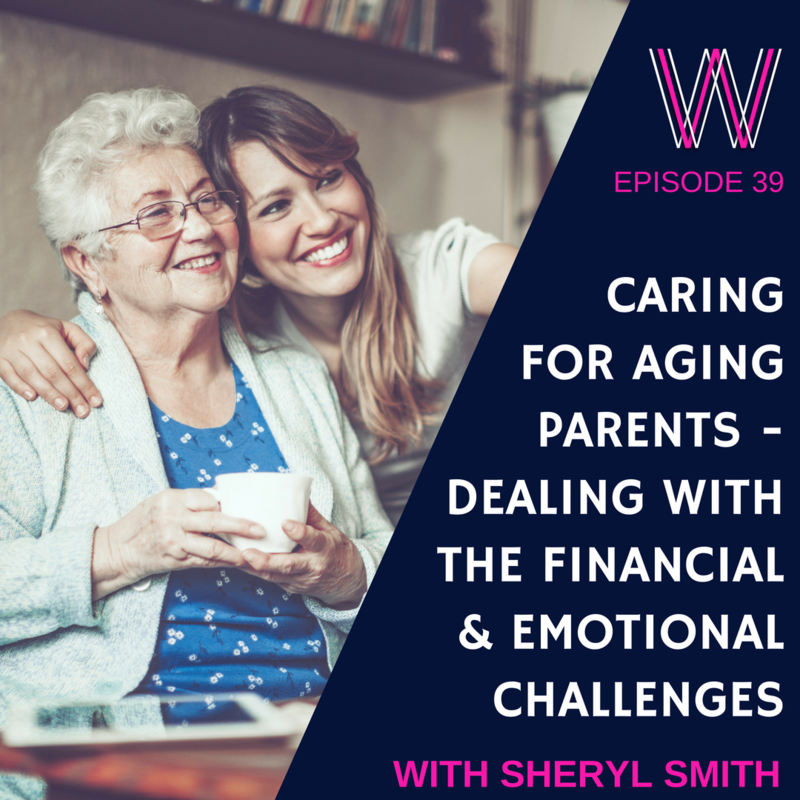 Sheryl Smith, a registered nurse, certified health coach and host of the engAGING Conversations podcast talks to us about what it takes to manage aging parents. The checklist of things you need to speak to your parents about – NOW! Lisa Linfield: 00:09 Hello everybody, and thank you for joining us for this week’s episode of Working Women’s Wealth. Today we are joined by Sheryl Smith, who is the host of a podcast called Engaging Conversation, and engaging the aging is the core focus of her podcast. She helps listeners try to navigate their parents aging. So older parents aging, so adult children, supporting adult, or match other parents to age. Sheryl, how did you and why did you start this podcast? Sheryl Smith: 00:57 Well, it’s really kind of interesting, and it’s a two- part answer. I started the podcast originally because I was working on trying to remove myself from my nine-to-five job. I’m a longtime RN. I’ve been an RN for 33 years, so I’ve taken care of people all my adult life, and I became a certified health coach, and I was looking about starting a health coaching business, and I really wasn’t, it wasn’t exactly what I wanted to do, and when I came across podcasting and I thought, that is an avenue that I could use my nursing experience and my coaching experience and reach a broader audience and help more people. And the issues that we talked about, the struggles that we have, I thought, “This is what I should be talking about.” So I kind of reworked my business plan and started a conversation about helping aging parents because I’ve come to discover that it doesn’t matter how smart you are, how educated you are, if you’re a healthcare provider, if you’re a lawyer, if you’re in finance. When the time comes that the role reversal begins and you begin helping and caring for your aging parents, there are so many things that come up that you can’t anticipate that I’m just trying to bring awareness to all of the things that can come up to try to make it easier for the next group coming along. Because I’m in the next group coming along, and there’s a lot of us, and something needs to change about how we help our aging population. Lisa Linfield: 03:30 So when you were supporting your dad, what was the biggest toll that it took on you? Sheryl Smith: 03:38 So for me, because I was remote, I’m one of five siblings. My sister lived geographically closest to my parents, so she was really the day-to-day, hands on caregiver and she’s not a healthcare professional. So I gave a lot of phone guidance and moral support, and was there as often as I could be. So for me, the geographic dislocation, wanting to be there, wishing I could be there, the guilt of not being there was the most difficult part for me, and I used to say to my sister, “I know that you’re doing this every single day, but man, I don’t know who feels worse, because I feel terrible that I can’t be there to help you.” And she sometimes felt terrible that she was, so she struggled with working full time, she had a couple kids, she was going to school to get her master’s degree, and having to deal with my parents’ issues. My dad first and he was at home, and then with my mom afterwards. So for me, it was geographic, and the frustration about that. But also, every time I could get a chunk of time off, every couple of months, I was traveling 450 miles to go spend a few days with my parents and give my sister a break. Lisa Linfield: 04:56 It’s an incredibly tough thing to be so far away and to not be able to practically help. Sheryl Smith: 05:05 Right. Yeah. Lisa Linfield: 05:07 And your sister, how did she handle that day to day impact on her life? Sheryl Smith: 05:13 So my sister is a saint, for one thing. She and her husband helped my parents, even before they needed physical help. It was like, “Could you help me with the gutters?”, and just any little things that came up before they were ill or elderly. She was great. She would go to my parents every day for lunch, took her lunch hour at my parents’ house because she was able to. She helped my mom with groceries, was instrumental in helping get hospice in for my dad. After my dad passed away, when my mom started to fail, she took my mom into her home, much against my mother’s will. She really didn’t want to go, but then she got there and loved it. My mom wound up in assisted care, and then eventually, a nursing home, and my sister saw her every day and managed her needs every day. And the physical toll that it took on her, the emotional toll of the siblings that didn’t live close, we could see it. She was angry and tired and frustrated, and then she felt bad for having all those feelings. She felt guilty that she could no longer care for my mom in her home. And then she felt guilty that my mom was no longer safe to be in assisted living. So she had all these feelings that, come to find out, are very normal when you’re going through that, and felt bad that she had those feelings. So like I said, she is a saint, she did everything she could and then some, but she struggled with feeling torn constantly. Lisa Linfield: 06:45 And it’s a huge physical and emotional burden because she had the responsibility of her own family and her own kids and those needs, as well as those of your parents. Lisa Linfield: 06:58 When my grandmother had had two strokes, there were three of us living in Johannesburg, and I were taught then what an enormous toll it took to look after an aging, in my case, grandparent, but parent to my mom and my aunt. Because there is, as you said, the shopping, because before they are unable to live on assistance, the first thing that goes is the ability to do the shopping. We had a number of us here, and it still was visiting, being the social companion, being the physical shopping, getting all the drugs when the medication that is needed on a weekly basis, making sure that there’s someone there, it’s a huge toll. She would be in there just to check on my mother and do checks of the place. But in addition to that, some of the things that we didn’t realize is that when you are in those kinds of places, if you need your toiletries, if you don’t like institutional toilet paper, the adult diapers, the Depends aren’t provided by those places. So just keeping on track of having a grocery list for her house, having a list of things that my mother needed, it all takes a toll. Lisa Linfield: 09:01 And how did you as a family handle the financial implications of supporting an aging parent? Sheryl Smith: 09:09 I thought about this a lot since you and I talked the last tim. My parents were in the generation where my dad had a lifetime job, so he retired with health insurance for life, and they had pensions, and the social security supplemented their pensions. So they’re in that generation that, I think, for most people, that stuff is going away. So financially, they were fairly solvent. In the end, we wound up having to sell my parents’ house to pay for the assisted living because that’s not covered by insurance. So that was paid for out of the sale of my parents’ house, and the day-to-day things that my mother required, we bought for her. But as I said, I see that shifting. I’m a young baby boomer, but I’m in the baby boomer population, and there are 10,000 of us retiring every single day. I interviewed a woman on my podcast last week who called us, and it was a term I had not heard before, the silver tsunami. So as we retire and age, we are going to have a huge impact on the healthcare system in the US, and on adult children who are going to be responsible for overseeing the care of their parents if not doing direct care. Sheryl Smith: 10:43 World War II. Lisa Linfield: 10:44 Population. But the second thing is that there was a global shift from what we call defined benefit pensions to defined contribution pensions, and the defined benefit contributions of those old-fashioned things where you gift every single year a proportion of your final salary for the amount of years you worked, and your healthcare taken care of. Then defined contribution people, which is a lot of the baby boomers, they only get what they put in and healthcare is not included, and that is universal. It is across the globe where there was the shift because basically, what happened is that the pension funds worked out that they couldn’t afford the baby boomers. So they shifted it to be able to say, what you put in is what you get out, not this defined benefit. So there’s definitely a global silver tsunami that’s coming. Sheryl Smith: 11:33 Yeah. That was my point, just that my generation of people, and I don’t know, I don’t have statistics on this. Maybe you have a better idea, but my sense is that many, many of my generation are not prepared for retirement, so what that means for their kids is that the financial obligation for their care, if they run out of money, is going to fall to them. So what is even more important for the generation below me and younger to start planning early, and also more important for us to figure out, not only nationally in the US, but globally, how are we going to take care of people as they do age, because clearly, the system that’s in place now is not set up for success for anybody. Lisa Linfield: 12:25 I agree with you, and I don’t know what the solutions are because one of the counter-challenges is that health care’s ability to solve problems is getting better and better. So as a child, if you know that there is a way to help your aging parents’ cancer or your aging parents with dementia or your aging parents’ Alzheimer’s or whatever it is, you’re going to try and put as much money as you possibly can to try and solve the problem. So you have these two counter forces, which is that if you can afford it, there are ways to help your parents and ease their suffering. But at the same token, you’re going to have to afford it, which often comes with a sacrifice to your own family in terms of from a financial perspective. Sheryl Smith: 13:09 Right. And I’m beginning to think that there’s just going to need to be an entire shift in how we look at taking care of our older population. Is a medical model the right way to go? Aging in and of itself is not a medical issue. It’s the chronic disease processes associated with aging that are, and how do we look at a geriatric population and manage their chronic medical issues, but take care of them in a healthy environment versus a health care environment, I guess, for lack of a better term. You know what I mean? Lisa Linfield: 13:49 I do. There’s a global trend back to family living. In the olden days, the grandparents and the parents and the children would live in the same house. We all have been through a phase of extreme independent living, but it starts to become something, as you mentioned for your sister, where your mom moved in with her, is that as far as possible, one of the answers is that a parent does move in with you, both from a financial perspective, and I guess there’s an emotional support in that. Sheryl Smith: 14:21 And that it can be both ways. My sister’s husband was disabled and was at home, and my parents and he, they were not the best of friends, but the year that my mother lived in their house, it was company for my brother-in-law. It gave him a sense of purpose, helping my mom, making lunch for her, and they were companions for each other. My mother was involved in what was going on with my niece, and my nephew who were in and out of the house. She felt more so part of a family than being alone in her own house. That was a really positive thing about being with my sister, but I think it would be so great if there were more resources available so that people could do that. Lisa Linfield: 15:07 Absolutely. As you said, we are going to need to rethink a completely different model because there are many, many, many baby boomers. This, as you called it, the silver tsunami. I think it’s a fantastic term. It’s coming, ready or not, and that’s the challenge of it. Lisa Linfield: 15:24 So you have interviewed a lot of different people, given a lot of thought, you’re a registered nurse, you focused your mind on learning, and sought out to help the conversation and share your insights with people on this. How do we as children support the silver tsunami or their parents through this process? Sheryl Smith: 15:49 I think part of it is just being willing to start a difficult conversation. If your parents haven’t discussed with you what they want for their end of life, if they could choose Plan A, how would they want to die? Probably most people would say, “I just want to go to sleep and never wake up in my own bed,” so that, ideally Plan A if that’s what it is, and a discussion about plan B. Well, if that can’t happen, what else would be okay with you? What would you be willing to do? And probably a Plan C, what would you not want? And then get it documented. Write it down, get it documented. The conversations need to be had because I think as people age, as you said, the medical world has so much to offer. They’re doing more and more and more every day in bringing longevity to people with chronic medical conditions. But sometimes, the longevity is at the cost of quality, and sometimes, those conversations never happen until you’re in a crisis when it’s difficult to make a rational, thoughtful decision, and that can kind of wind you up on this vicious cycle of chasing the next treatment to fix the complications of the last treatment, and end up in a situation where your mom or dad is in an ICU or in a nursing home because they’re so weak from whatever. And if you have a conversation first about, “Geez dad, if it came to that, would you want that?” And if they do, that’s great. At least you know. But if they don’t, then when you’re in that room with that physician who gives you that diagnosis and tells you what your treatment options are, then the dialogue can already be open about, okay, well then, what if we don’t? What are our options if we don’t? What’s it gonna look like? And I think that it’s all just about conversation so people can choose what they want and don’t want for their end of their lives. Lisa Linfield: 17:55 And I think one of your important things is that conversation happens before the time, and secondly, that it is documented, because one of the things in my experience that I would add to that is with my gran, for example, and many members of my family would choose not to be hospitalized and in extended treatment. They would really choose to go peacefully at home. One of the challenges with that is it is a great idea if the circumstance is a lot. The problem then comes when, for example, my gran had multiple strokes, how did you know which one was the one? And it puts a lot of pressure on the person who is there at the time, the daughter, the sister, the whoever is there at the time to try and make that judgment call of, do we hospitalize her because this is just a small one and she’s going to get through it, or don’t we hospitalize her, and it’s a hugely difficult conversation, or a big burden that you put on a non-medically trained person that is there. And I remember saying to my mom, it’s a huge pressure for you to have to say this is the one. Let’s get a independent doctor to come in and give us that opinion, because if you say it is the one, and therefore we’re going to leave her here, and then she struggles along and last for another while, then it’s a huge pressure. So it’s important also to have that dialogue amongst siblings or caregivers, or whatever, that you agree that treatment strategy, and you agree the parameters around it. Sheryl Smith: 19:33 Well, I think that’s why it’s important to document it because things come up, everybody’s got an opinion, and if somebody’s wishes are documented when things come up, if somebody is there, you have a designated a healthcare proxy or a healthcare power of attorney or a healthcare agent. Those are all various terms to mean the same thing. The person who is representing you, making the medical choices for you when you are unable, based on what you have written down, so that somebody who at the very end says, “Oh my Gosh, dad hasn’t had anything to drink in three days, shouldn’t we get some IV fluid?” You can say no, here’s his living will, here’s his advanced directive saying he said no, he did not want IV hydration, because people in difficult situations like you’re talking about wanting to do the right thing. They don’t want to cause harm, but you need to follow the directives, the wishes of the person. And sometimes, that’s very hard. So the health care agent is the one who makes those decisions. You can have more than one, but it’s the primary one who’s going by your direction. Lisa Linfield: 20:46 And if you’ve never been through this, where do you go to find out what’s the checklist? Sheryl Smith: 20:53 I just did an interview with a woman, but it was actually just published this week on my podcast about advanced care planning, and her suggestion was to check with the local hospice. They offer free services for people who are not even in hospice with help in getting a healthcare power of attorney and advanced directives drawn up, so that would be a great place to start. Certainly a lawyer can help you, but you’re going to pay for some of those services. Lisa Linfield: 21:24 I think that’s a fantastic suggestion because I think one of the challenges is you don’t have any clue what it’s like to go through it until you’ve been through it. Sheryl Smith: 21:33 Right, you absolutely don’t, and like I said, it doesn’t matter if you have a medical background, if you have a legal background, if you have a financial background. All of the little things that can pop up in any of those areas can happen to any of us. So I’m just trying to bring light to all of the difficulties that can arise so that when you know the next group comes along, they’re at least enlightened, and really, ideally, bigger picture, take a look at how we’re taking care of our aging population and the people that care for them, and if there’s a way that we can do it better, to promote dialogue about that. Lisa Linfield: 22:13 So this promoting dialogue’s a really interesting thing. As human beings, why don’t we have these conversations with our parents? Why don’t we as families set time aside to have these conversations? Sheryl Smith: 22:27 Well, I think it’s a tough conversation to have, and it’s gonna require a culture shift. Nobody’s comfortable talking about death. I am not like the doom and gloom, I’m not Nurse Kevorkian, I’m not anything like that. But I would love to make a conversation about end of life and death, like a conversation you would have with a bride. What do you want to wear? What are your flowers going to be like? What kind of music do you want? Just a conversation that you have so that the person who’s going to die can decide all of those things, and it’s all done, all thought out, all planned, and it’s a beautiful celebration of their life. And if they are at the end of their life, you can enjoy as the children, adult children or caregiver, whatever, there’s less focus on the minutia and more focus on the quality of the days that they have left. Lisa Linfield: 23:23 And in your experience, what is the best way to raise these conversations as a family? Sheryl Smith: 23:27 So I’m really new delving into these topics as well, but there’s been a couple of things. There was recently, I think around Thanksgiving time, there was a broadcast on NPR about picking a holiday and having a conversation, typically a time when the entire family’s around, there is an organization that has a program called Death Over Dinner where you can actually arrange a dinner party, and you order a series of things that you read, and a series of questions that you ask. So what’s just dialogue around a dinner conversation just to start the process that can be really nonthreatening and not maudlin, if you will. And I’m doing an interview this week. There’s a woman who has a company where people can set up their own webpage and pick out music that’s meaningful to them. And if you wanted to have recipes, an individual person can make their own webpage about their life and how they want to be remembered. So there’s lots of things out there if you Google it. Lisa Linfield: 24:35 I guess so. Sheryl Smith: 24:36 There’s lots of ways, but it doesn’t matter. Somebody needs to bring it up, and initially, I think it’s uncomfortable, but you have to be willing to get past that discomfort. And I think for a lot of older people, maybe they don’t want to upset their children, but lots of times, I feel like our older population, they’re more okay with end-of-life stuff than we are, but somebody needs to bring it up. Lisa Linfield: 25:01 Yeah. And one of the challenges with it is that if we don’t, then you are dealing with those things when it’s too late, when there’s either too much emotion in it, when there’s lack of clarity, or when you’re being forced to make decisions that would have been better made with space and time. Sheryl Smith: 25:19 Right. Well, are you making decisions based on what your loved one would want, or are you doing it for you? So there’s a lot that goes into it, and I think a lot of the trauma associated with those end-of-life decisions could be alleviated. Certainly, there’s going to be some trauma in bringing up the conversation, but the trauma is much less than dealing with it during an event in an emergency room or in an ICU. Lisa Linfield: 25:45 And I think one of the key things also is to get the sibling or family, especially if they’re mixed families to get alignment between everybody, because the challenge in those kinds of circumstances is that there is so much grief associated with a parent in stress or in need that it can magnify any issues that are already in a family. Sheryl Smith: 26:06 Oh, absolutely. And those issues can come back. The hierarchy of siblings, the age stuff, all of that stuff can come back when you’re dealing with a family issue and end-of-life issue with parents. It all comes up in some way or another, and if you’re lucky, you have siblings that can help you, but not all of them are going to be able to help maybe in the way that you need or you want, and I think you have to just be okay with people who can’t, for whatever reason, they can’t provide help or care, your siblings, because some people can’t, for whatever reason, and that’s trying not to judge people who don’t live up to your expectations. Lisa Linfield: 26:47 So if one can assume that many of the silver tsunami, the baby boomers that are going to go through there, are not going to have sufficient money to pay for this end-of-life period themselves, what would you suggest that people could do to, even if there is no issue with their parents, to start preparing or having these discussions around the financial implications? Sheryl Smith: 27:11 Well, I think part of the end-of-life conversations with your parents needs to be financial, and those can be difficult questions, finding out what they have for insurance, what kind of coverage do they have for prescription medications? What do their prescription medications cost? How much money do they have saved? Those are important things to know if you are going to be, if not assuming the care of your parents, managing the care of your parents, so that you have an awareness of what may fall on you, because the option is they’re not taken care of, and I don’t think that there are many of us children on the planet that could let that happen. 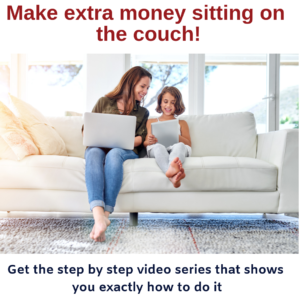 So having the financial conversations and knowing where they stand, and if possible, then aligning your financial strategies so that not only are you in a place that you can help them, but it’s not taking away from your family as well. Lisa Linfield: 28:07 And that’s really tough, and I think that that is going to be something that drives a change in how we help our aging population because I think it’s gonna have to. And that’s just my opinion, but I feel like it’s going to be a financial thing that drives this change, because I think it’s going to affect a lot of people. Sheryl Smith: 28:25 I agree with you because I was working with [inaudible 00:28:28] there, roughly around 75 years old, and it’s clear they’re not going to have sufficient funds, and my encouragement to them was, as a child, the earlier you have these conversations with your children, the more options you give that child, because if you come too late in the conversation, the conversation goes as follows, “I need to go into frail care. I don’t have enough money. 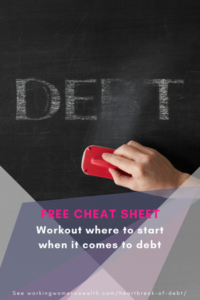 You will need to pay for it.” And then for example, you have to pay 20,000 rand a month, but if you had that conversation now, five, six, seven years before you ran out of money, your child can start saving. Lisa Linfield: 29:08 Instead of having to come up with 20,000 rand a month, can start saving to build up a buffer such that when that event happens, it is of less financial impact. Similarly, you at least give them the choice to take out a health insurance on your life, or to pay your health insurance such that the impact on them is not going to be as significant. Sheryl Smith: 29:29 Right. Yeah. I definitely don’t have the answers. I have the questions. Lisa Linfield: 29:35 But you see, at least with your conversations that you’re raising, the more people that start engaging in this conversation, the more that is shared amongst either the aging population, brainstorms that amongst themselves, and the adult children start brainstorming amongst themselves, the easier or the more likely it is that different coping tools can be suggested that others can buy into. Sheryl Smith: 29:58 Exactly. Going through life with blinders on is not the strategy to take with this, because at some point, the financial impact is going to rear its ugly head, and it’s just so much better to be prepared, then shocked and awed when the shoe drops. Lisa Linfield: 30:18 And it is expensive. I always say to everybody, it would be wonderful if we could all just die in our chair watching our favorite TV program. That is the cheapest, easiest, and best solution for everybody, and especially for the person who is aging. The expensive option, and the challenging really difficult option is the two, three, four years of prolonged care or more that aging people need because of longterm disease. Sheryl Smith: 30:45 Right, and because of really good medical care. Lisa Linfield: 30:48 And because of really good medical care, the flip side of every great invention, there’s always a flip side. If there was one piece of learning or understanding or insight that you would want to share with people out there, what would it be? Sheryl Smith: 31:02 It comes down to just what we’ve been really talking about the whole time as the conversation. The sooner you have the conversation, the sooner you’re going to know what you’re dealing with, and the longer, hopefully, you’ll have to prepare for whatever that is. And you may be very pleasantly surprised that your parents are all set, they’re financially solvent, and you’ll never need to worry. But I think chances are good that at some point, they’re going to need your help. So it’s always just better to know what you’re dealing with sooner rather than later. Lisa Linfield: 31:35 Absolutely. Well Sheryl, thank you so much for joining us and for such wonderful insights. It’s not an easy conversation. It’s not an enjoyable conversation, but it’s probably one of the most important ones that all of us that have parents that are still living need to have. So thank you very much for raising that conversation and bring it to a level where we can all engage in it. Sheryl Smith: 31:56 Well, thank you for having me. Lisa. This was a pleasure to talk with you today. Lisa Linfield: 31:59 That was Cheryl Smith, and between this interview that she came on my show, I also went on her show, Engaging Conversations, and spoke to her audience about the need for all of us to have a discussion with our parents as to what their plans are on how much money is available for retirement. Don’t trust that they’ve done the correct sums as to whether they have got enough money, and don’t misinterpret real generosity on their behalf, that they have enough for retirement. Please make sure that you have these conversations early enough so that you can plan together how this retirement is going to work out from a financial perspective because the challenge is it might be too late when they come to tell you that they need more money, in terms of both supporting your own children and supporting them. I’m Lisa Linfield, and this is Working Women’s Wealth, and I’d love to invite you to rate and subscribe to this podcast because each time you do, it pushes us higher up so that more people can discover the great information that’s available here, and that helps us to achieve our goal of teaching 1 million women about money. Take care and have a great week.